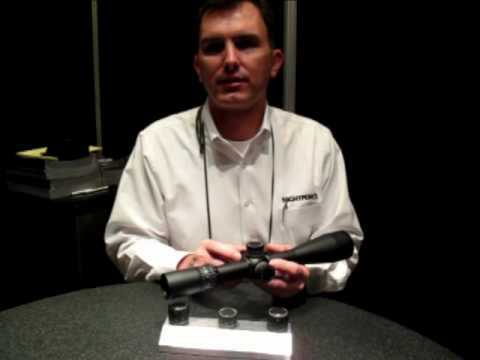 Nightforce Optics has just launched its own YouTube channel. It’s worth a visit. You’ll find many informative videos worth watching, including Product Intro videos, Nightforce In Action clips, and the Torture Test video. On the Liked Videos Playlist, you can also watch related product reviews and field tests from Extreme Outer Limits, the 6.5 Guys, and AccurateShooter.com. 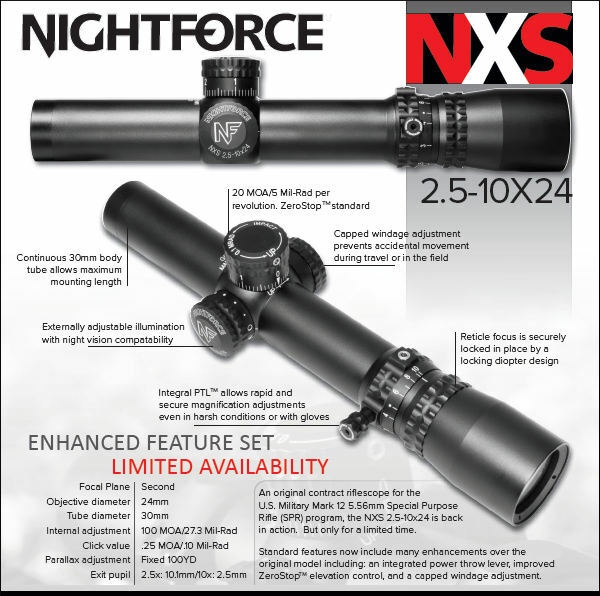 Share the post "Nightforce Launches New YouTube Channel"
Show below are the scopes on sale with regular price and sale price. 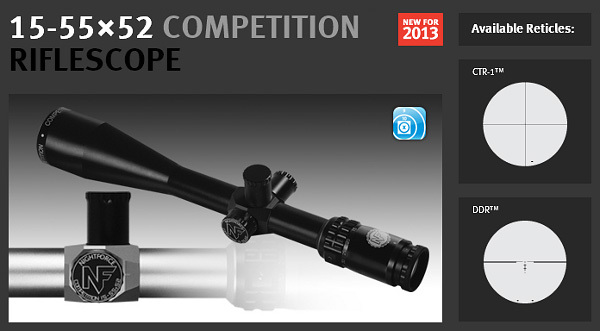 Quantities are limited and these scopes are being sold “First Come, First Serve”. Prices are limited to stock on hand and do not include shipping. 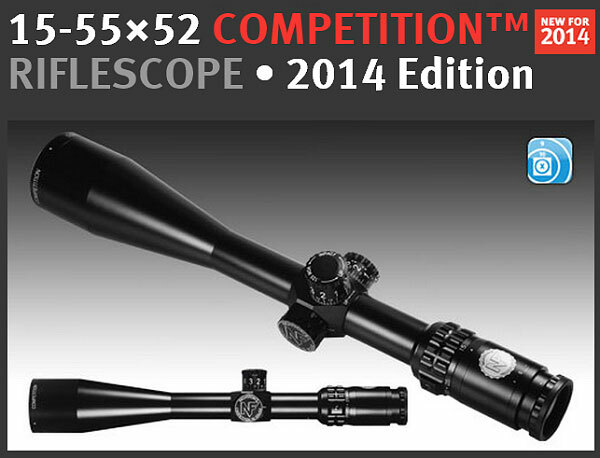 Scopes are not returnable – all sales final. Lilja explains that some of these prices are well below MAPP (Minimum Advertised Price Policy) because they are for discontinued products. 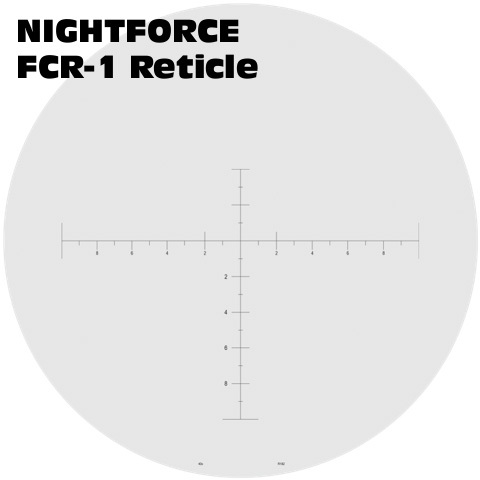 From time to time, Nightforce changes reticle combinations (or other features) and an product number (sku) becomes obsolete. Lilja also has some optics accessories for sale, such as rings and bases, PC programs, torque wrenches and other small items. Call (406) 826-3084 for availability or visit Lilja Precision Rifles. 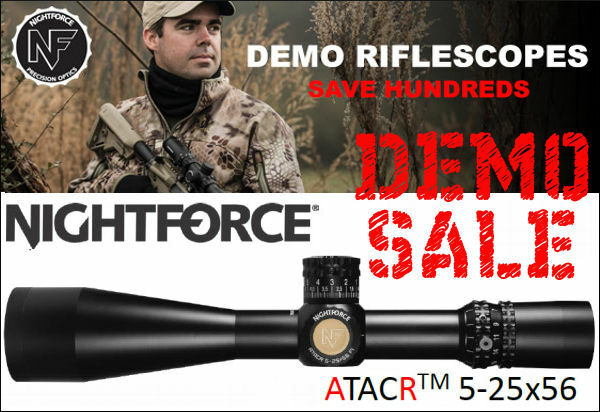 Share the post "Big Sale on Nightforce Scopes at Lilja Precision Rifles"
Nightforce Optics, Inc. (Nightforce), has completely redesigned and updated its website. 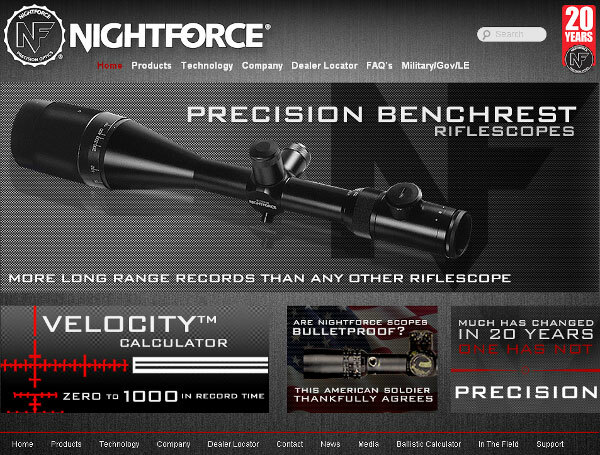 Visit www.NightforceOptics.com to check out the new look and new features. The new site includes easier navigation, extensive product information, and a number of helpful tutorial features. 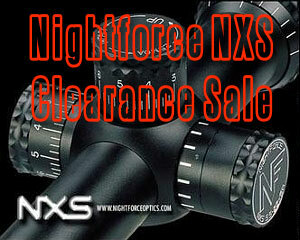 NightforceOptics.com also includes photo galleries, product specs, and a global dealer locator. 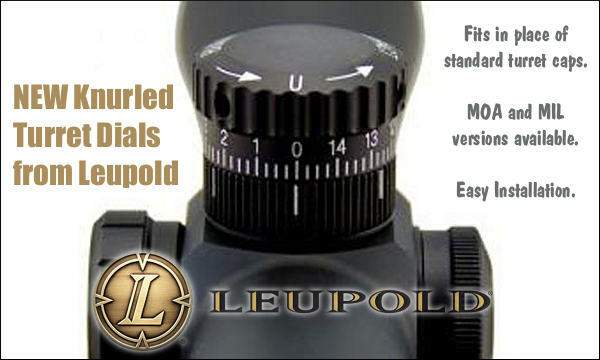 The redesigned site includes detailed information on the products, reticles and technology. 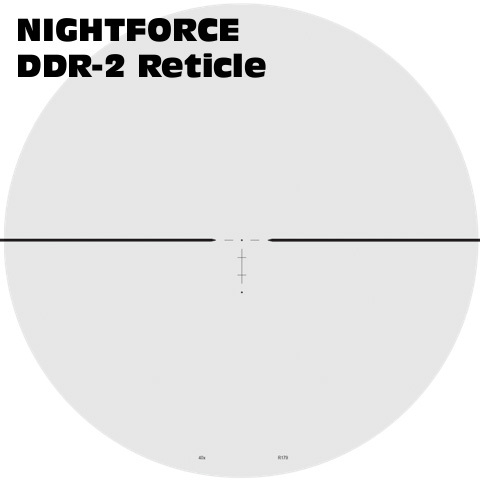 For example, the online Velocity™ Reticle Calculator allows the shooter to interactively explore the application and performance of the unique Nightforce Velocity™ 1000 and Velocity™ 600 reticles, relative to their own rifle’s ballistic profile. 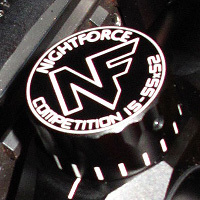 Visitors will find several tutorial videos, such as the one explaining the Nightforce ZeroStop™ system on the elevation turret. 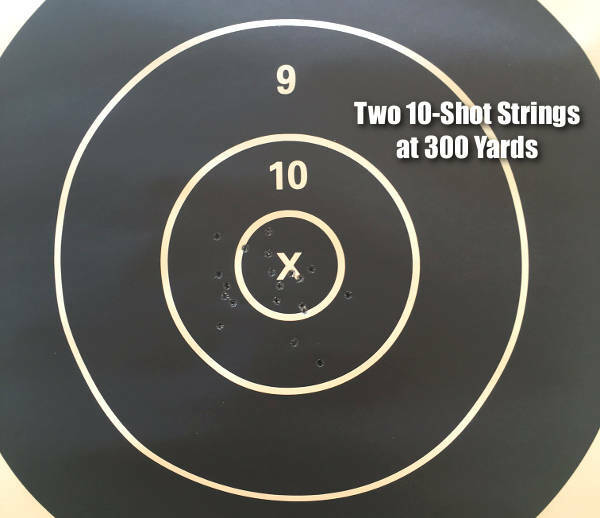 This allows the shooter to instantly return to his chosen zero point, no matter how many adjustments in elevation have been made. The site also conveys a wide range of general riflescope knowledge and information to help shooters hone their long-range skills. 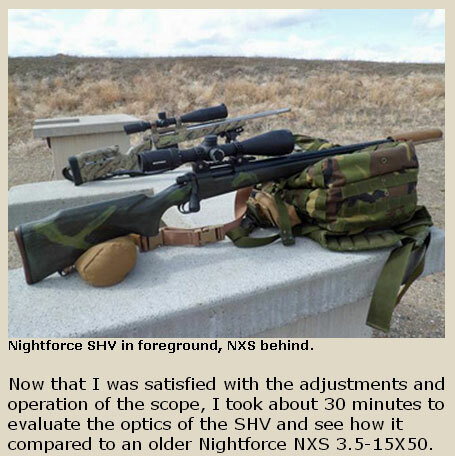 Share the post "Nightforce Optics Launches Upgraded, Redesigned Website"
OK, what really are the differences between Nightforces NXS and Benchrest models… beyond the obvious? 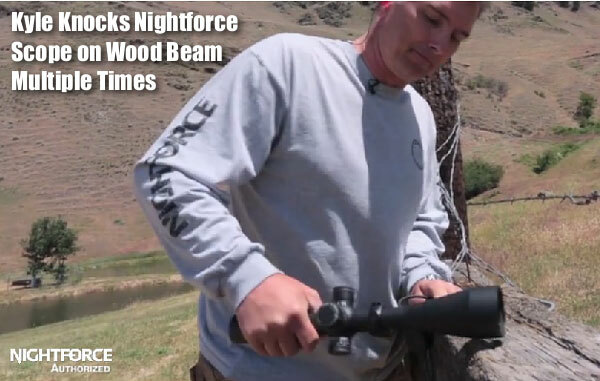 In this informative video, Nightforce Exec Kyle Brown provides definitive answers. 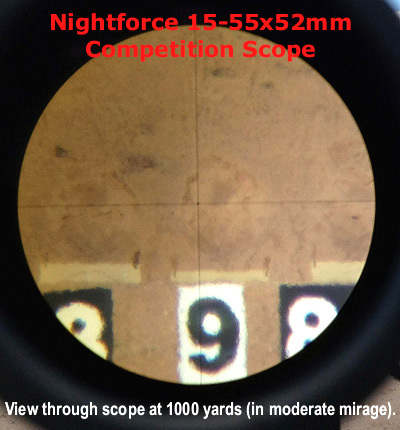 Share the post "Greatest Hits: Nightforce NXS vs. Nightforce BR Model"
Nightforce Benchrest and NXS scopes are very popular among our readers. 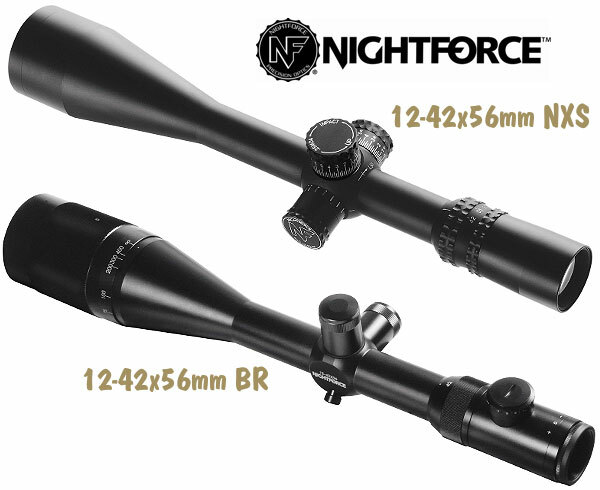 The Nightforce 12-42×56 BR model is the scope of choice for top F-Class and 1000-yard shooters. It offers sharp glass, big-time magnification, precision parallax control (via a rotating front objective), plus a wide choice of reticles. 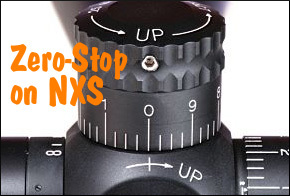 The NXS offers these same qualities, but it uses a side-parallax adjustment. 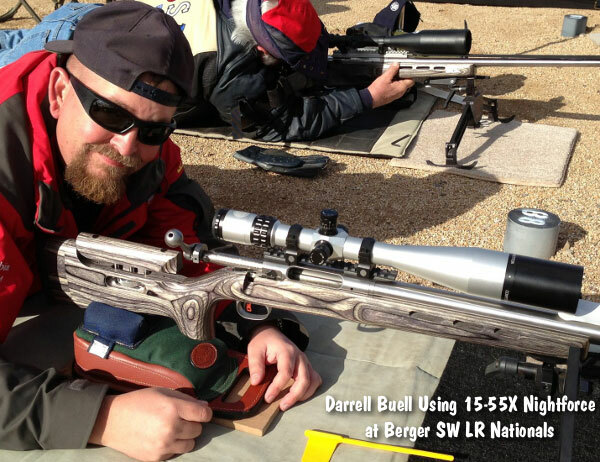 Many shooters building their first long-range rifle ask: “Which should I get–the Nightforce BR model or the NXS?” Nightforce Sales Manager Kyle Brown helps answer that question in the video below. 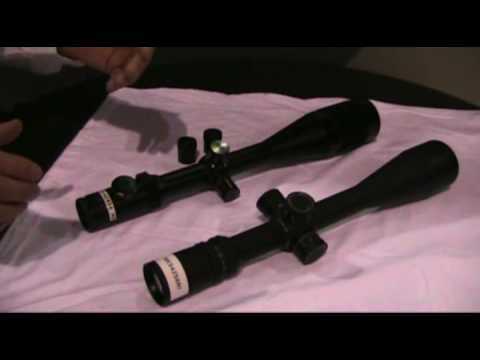 Kyle explains the major (and minor) differences between the BR and NXS scope lines. You’ll find this video very informative. 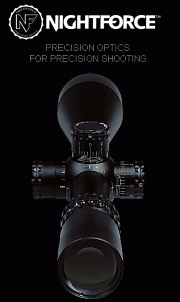 CLICK HERE to download Nightforce Optics 2009 Catalog (Large 5mb .pdf file). 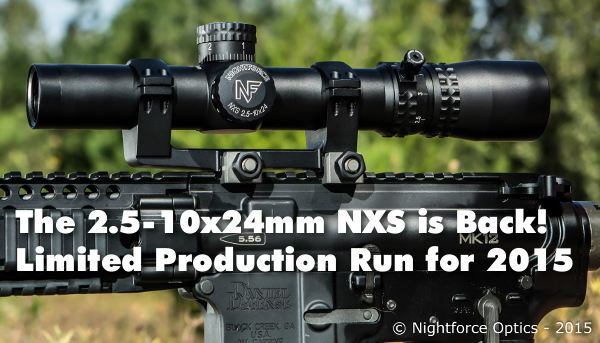 The new NXS 3.5-15×50 F1 was created at the request of U.S. military and other professional sharpshooters. They wanted a rugged scope that offers a choice of elevation/windage click values, plus a ranging reticle in the First Focal Plane (FFP). 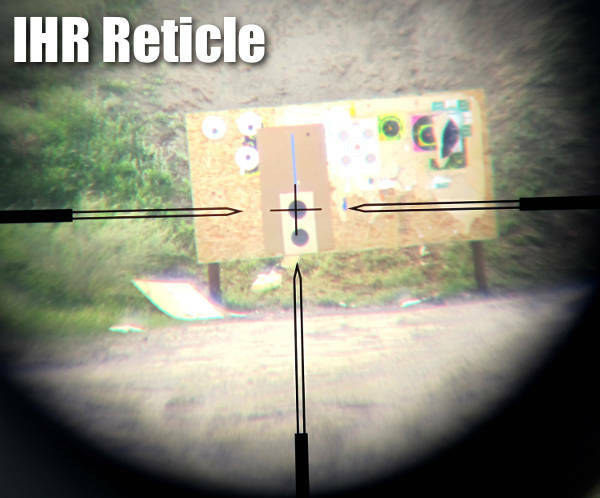 A reticle located in the first focal plane remains in the exact same ratio to the target across the scope’s entire magnification range. 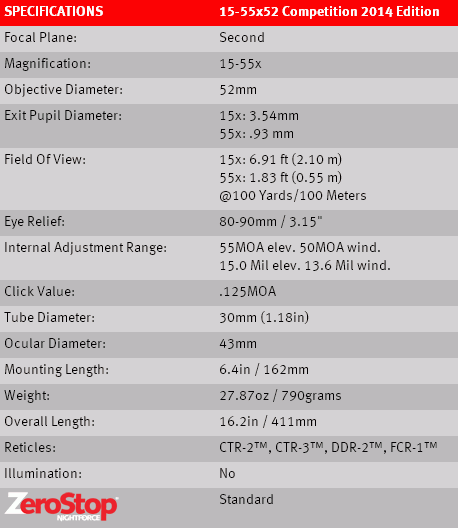 The FFP design (designated by “F1″) is optimal for rangefinding purposes, since the reticle’s markings remain consistent relative to target size at all magnification settings. 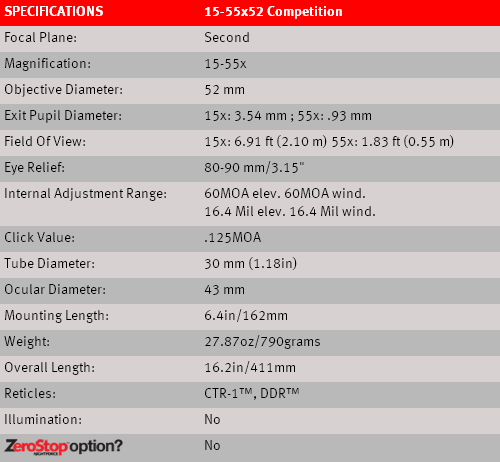 The 3.5-15×50 F1 scope will be offered with three click-value options: 1/4 MOA, 0.1 Mil Radians, or 1.0 MOA elevation + 0.5 MOA windage clicks. 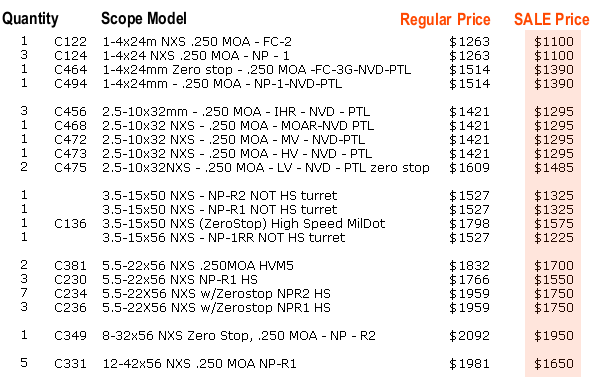 CLICK HERE to download NXS 3.5-15×50 F1 Scope Spec Sheet (.pdf file). 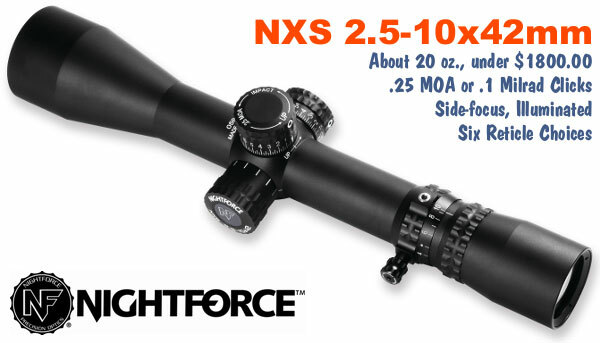 HOT NEWS: If you like the NXS 3.5-15×50 F1, take note that a Nightforce 5.5-22×56 FFP NXS is coming in the fall of 2009. Plus Kyle told us that the Nightforce Compacts and First Focal Plane scopes now have their scope bodies (main tubes) crafted in Idaho. So, you’ll notice that they are now stamped “Made in USA”. Nightforce will offer a variety of NEW ballistic reticles that provide “hold-over” hashmarks corresponding to the trajectories of popular hunting rounds. With these new christmas-tree style reticles, hunters and varminters can rapidly adjust to different ranges without cranking-in elevation with the top turret. 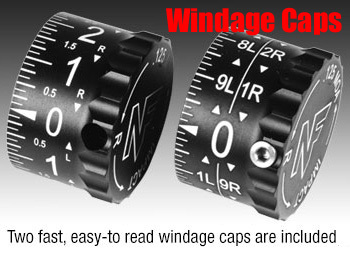 The reticles also include horizontal hash marks corresponding to calculated wind drift in mph (not MOA or mils). There are three basic options, one each for low, medium, and high velocity cartridges. 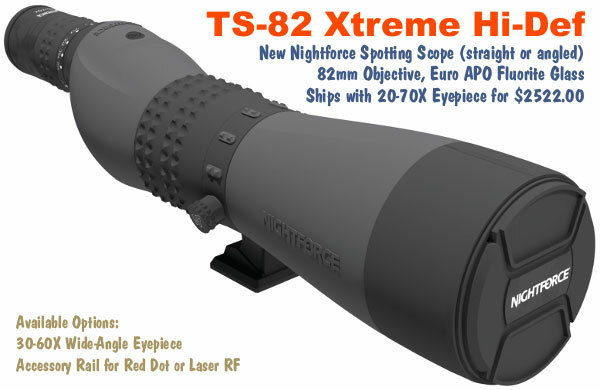 In addition, Nightforce may offer Horus ballistic-compensating reticles, and possibly the Holland ART reticle, later in the spring of 2009. 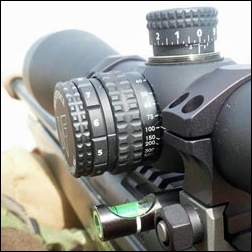 Nightforce has introduced the Top of Ring Bubble Level, a low-profile level built directly into the top half of a scope ring. This fits in place of the upper half of a Nightforce Ring (e.g. Unimount, Direct Mount, and Nightforce Mil-Spec). 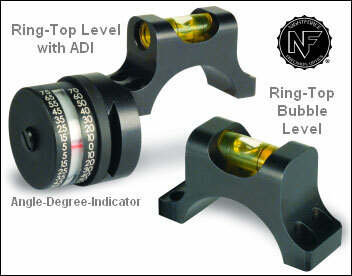 Like other anti-cant devices, the NF bubble level helps the shooter avoid canting his rifle left or right, which can throw off the shot significantly at long ranges. The level also helps ensure your reticle is plumb when mounting the scope. The Top of Ring Bubble Level is available in three versions: 1) Ring Level alone; 2) Ring level with integrated mount for the Nightforce ADI (Angle Degree Indicator); 3) Ring level with mount plus ADI unit (complete system). You’ll want the ADI if you often have to make shots at steep angles. Calibrated in degrees, the ADI instantly gives the shooter the up or down angle for the shot. 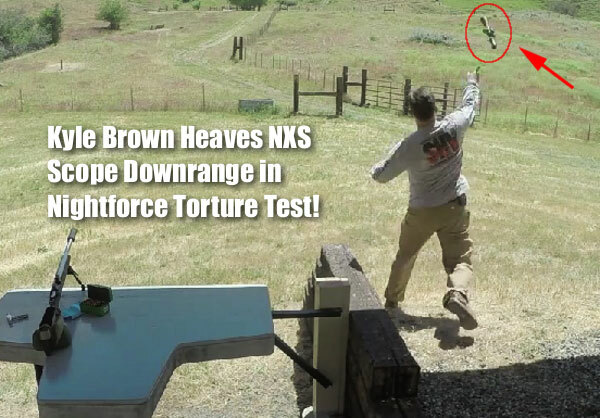 Plug that number into a ballistics calculator (or angle drop chart) and you’ve got your corrected drop for the true range to the target. We definitely recommend an ADI for hunting, and for competition disciplines where up/down angle shots are required. The ADI is simple, robust, and requires no batteries. Mounting the ADI directly to the scope ring is the slickest installation yet for this useful device. This mounting set-up was a collaboration between Shawn Carlock (Defensive Edge), Ward Brian (Sniper Tools ACI), and Nightforce. 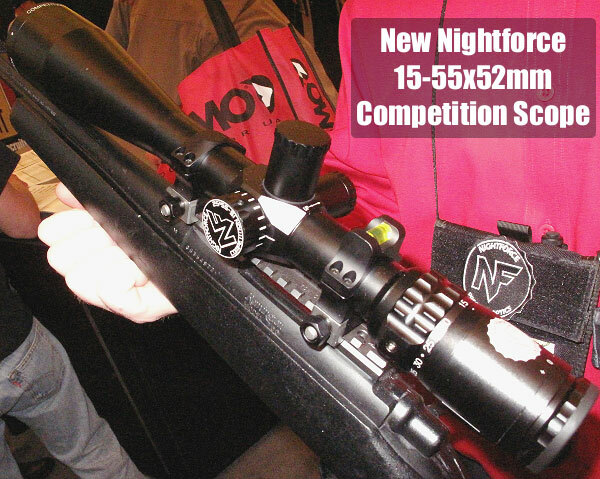 Share the post "SHOT Show Report: News from Nightforce"